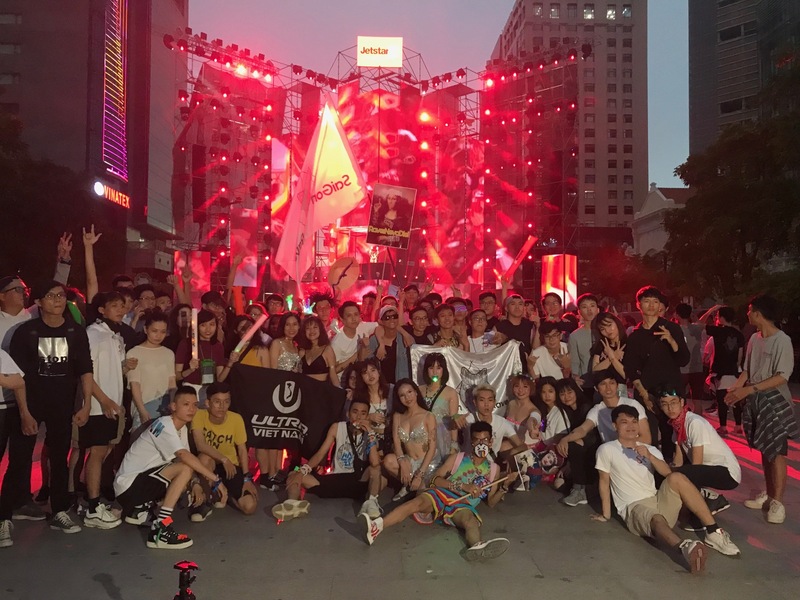 International DJs had lot of fun with Vietnamese EDM lovers. 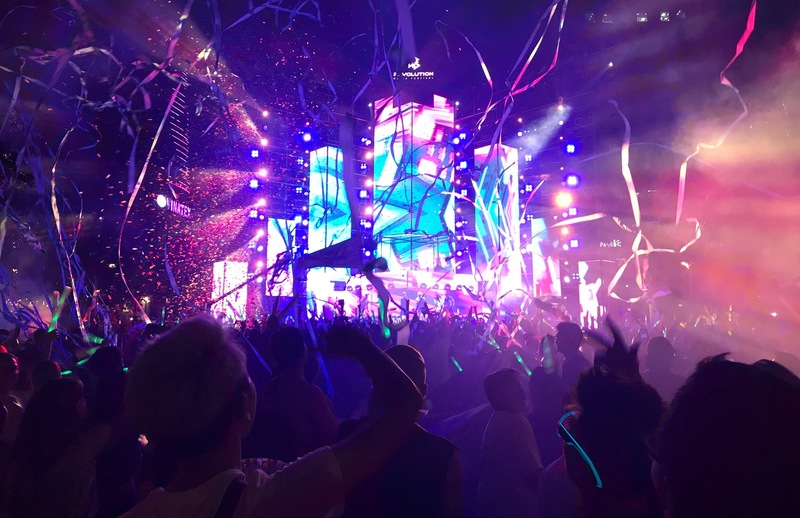 Thousands of people rocked on Nguyen Hue Walking Street during the Ravolution Music Festival on Saturday night. 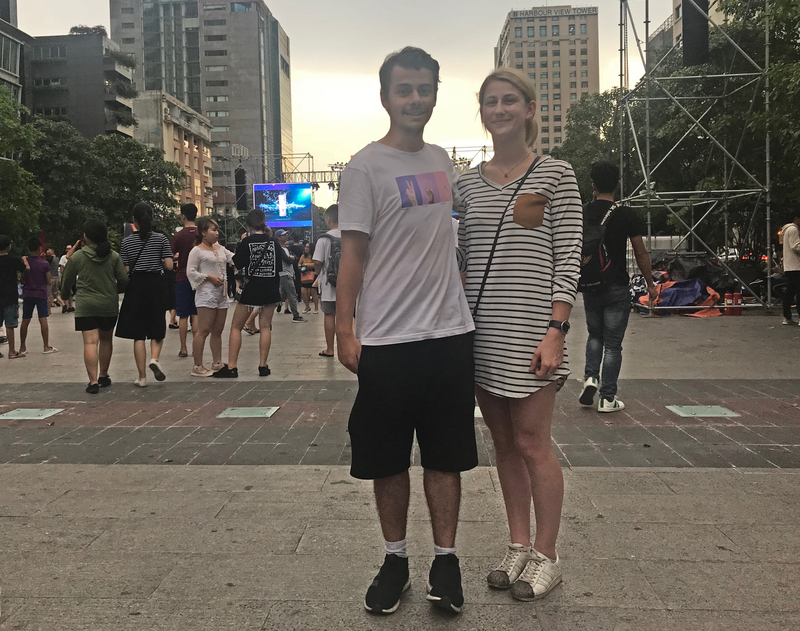 Young Vietnamese fans arrive on Nguyen Hue in downtown Saigon in rave costumes two hours before the event started at 6 p.m.
Morgane Bocquet (R), from France, who is doing an internship in Saigon, takes her visiting friend to the festival. 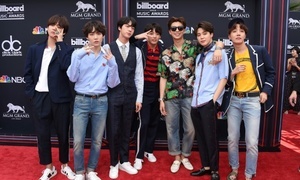 Both said they are excited to check out the event to live up the atmosphere of similar festivals from home. 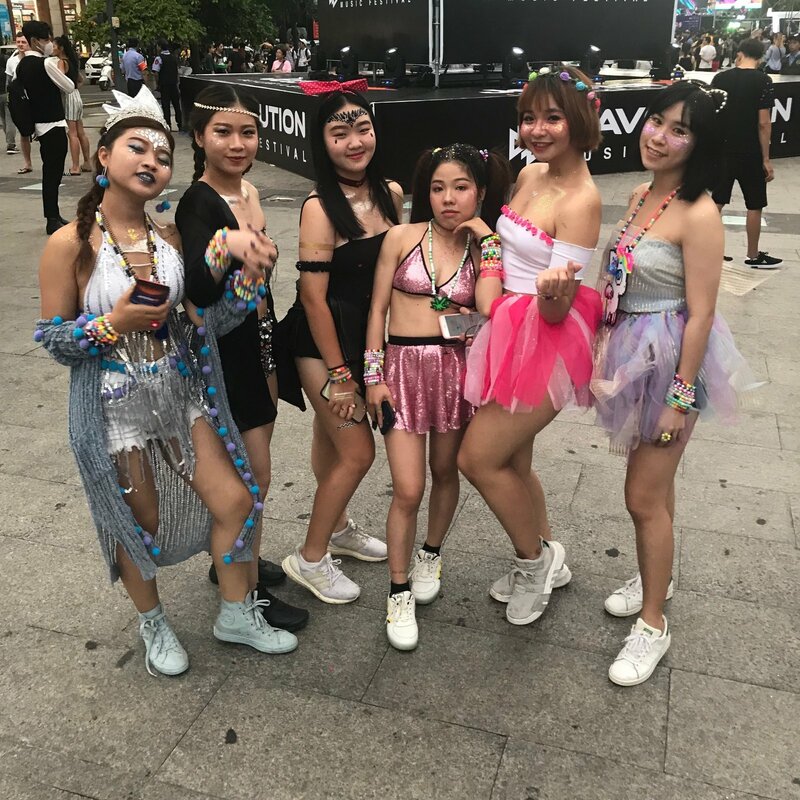 Vietnamese EDM lovers in their rave costumes hold up flags and take group pictures in front of the main stage. Attendees dance to different EDM genres. The event ended at 11 p.m.
Photo courtesy of Ravolution Music Festival's Facebook page. In a backstage interview, Nervo, two twin Australian DJs, promised fans that they will "have an hour and fifteen minutes of power."